Motherboard maker Biostar has unveiled its latest creation, aimed at audiophiles and home-theatre PC (HTPC) enthusiasts: the Hi-Fi Z77X. 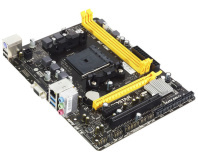 Based, as the name suggests, on Intel's Z77 chipset, the Hi-Fi Z77X ATX board supports all the usual Socket 1155 CPUs and includes native SuperSpeed USB 3.0 and dual-channel memory running at up to DDR3-2600 with 'overclocking mode' enabled. HDMI, DVI and VGA connections are included on-board for Intel CPUs with built-in graphics processors, while three PCI Express x16 slots - with one operating at x4, sadly - and three PCI Express 1x slots add extra connectivity. Gamers, meanwhile, will be pleased to hear that both Nvidia's SLI and AMD's CrossFire-X are supported. As well as the aforementioned video outputs, the IO panel includes a single PS2 connector and four USB connections for mouse and keyboard, two USB 3.0 SuperSpeed ports, a gigabit Ethernet port, and six 3.5mm jacks for the on-board audio - and it's this latter feature that Biostar is focusing on with the Hi-Fi Z77X. According to Biostar's product bumph, the board includes Puro Hi-Fi Technology: an integrated independent audio power design with built-in amplifier. Combined with a multi-layer PCB engineered specifically to block noise and 'non-polarised electrolysis electric audio capacitors' and 'hi-fi metal oxide film resistors' - so says Biostar, anyway - on each individual audio circuit, the result is a quality previously unavailable from on-board motherboard audio. The system supports 192kHz 24-bit sample playback, and has analogue connections to a 7.1-speaker setup - offering, Biostar claims, 'real Blu-ray grade high-definition sound.' Combined with THX certification, it's a feature list that could have audiophiles sitting up and taking notice. There is one strange lack in the motherboard's feature set, however: with Biostar focusing on home theatre and audiophile builds, it seems odd that the board only includes analogue audio outputs - there's no sign of an optical or coaxial S/PDIF port, meaning true audiophiles will need to break out the oxygen-free copper cable, ferrite chokes and other noise-reducing paraphernalia in order to link the Hi-Fi Z77X to their existing sound setup. The use of a full-size ATX form factor is also questionable: those using the Biostar Hi-Fi Z77X for a home theatre system would likely be better off with a mATX or even ITX board. Pricing for the Hi-Fi Z77X has yet to be confirmed, with more details available on Biostar's website. Most features of A68H at a lower price. 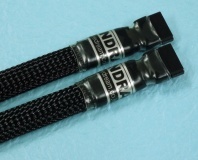 Korean cable company WireDream claims its £190 SATA cables boost digital audio quality.